Sturgis, South Dakota, February 20, 2018 – Construction on the Sturgis Motorcycle Museum and Hall of Fame renovation roared into the new year courtesy of the Law Tigers motorcycle lawyers. Set to expand to two campuses by the 100th Anniversary in 2020, the Main Street location gets a major revitalization for 2018, courtesy of generous donations from supporters such as the Law Tigers. 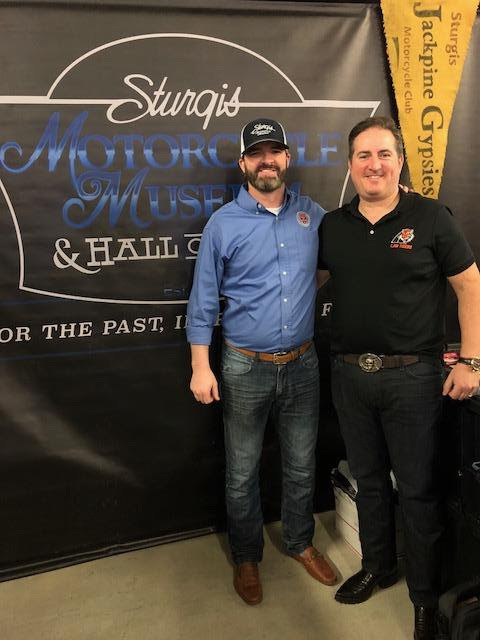 About The Museum: The Sturgis Motorcycle Museum & Hall of Fame’s mission is to collect, preserve and interpret the history of motorcycling; honor those who have made a positive and significant impact on the sport and lifestyle; and pay tribute to the heritage of the Sturgis Rally. Our vision is to continue as a world-class museum offering comprehensive and educational exhibits and showcasing rare and unusual motorcycles significant to our history and our sport. The Sturgis Motorcycle Museum & Hall of Fame stands out because of the fact that we not only document the history of the machines, we document the history of the people who have shaped and changed the sport and lifestyle. This will be a resource and inspiration for future generations. Honor the Ride… Build the Legacy! 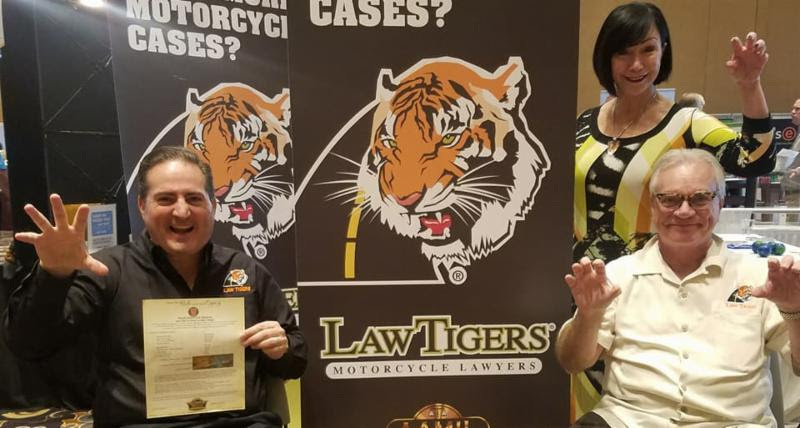 About The Law Tigers: Founded in 2001, Law Tigers is a professional association of motorcycle injury lawyers who help riders every day. Our association of motorcycle accident attorneys consists of member law firms in various states with skilled personal injury lawyers whose mission is to support and promote the well-being of motorcyclists. Dedicated to rider safety, awareness, and education, we are committed to the riding community. While our principal goal is to reduce motorcycle injuries and promote motorcycle safety through education, when accidents do occur, the Law Tigers motorcycle injury member attorneys are there for you. Association member motorcycle accident lawyers are available for a free office, hospital, or home consultation in states where we have members. Member law firms work on a contingent fee basis, which means there are no up-front charges to you. Attorneys will receive legal fees only when they obtain a favorable motorcycle accident settlement or verdict for you. The Association does not receive any portion of legal fees earned by individual member lawyers and does not receive referral fees for this group marketing website. We are committed to helping our fellow motorcycle riders; we watch over our own! With the Law Tigers motorcycle accident lawyers, you never have to ride alone™. About Strider Sports International, Inc.: Founded in 2007 and headquartered in Rapid City, SD, Strider Sports designs efficient, no-pedal balance bikes for children as young as 18 months, as well as for older riders with special needs. Strider No-Pedal Balance Bikes are industry-leading training bikes that help children as young as 18 months learn to ride effectively on two wheels. Strider also manufactures balance bikes for individuals with special needs and for seniors wanting to stay active later in life. The patented Strider Balance Bikes focus on the fundamentals of balancing, leaning, and steering without the distractions and complications of pedals or training wheels. Strider Bikes are now distributed in more than 75 countries worldwide. In 2017, Strider formed the Strider Education Foundation. To learn more, visit www.StriderBikes.com or www.StriderEducationFoundation.org, like them on Facebook, and follow them on Instagram.